Venezuela's regional rivals are to ask the International Criminal Court to investigate Nicolas Maduro's government over crimes against humanity, Argentina's President Mauricio Macri said. "In Venezuela, human rights are systematically violated. They've lost respect for the value of life," Macri told television channel, CNN. He said the petition would be filed "in a few weeks" and would also be signed by the presidents of Colombia, Chile and Paraguay. Macri also poured scorn on Venezuela's claims that Maduro was targeted in an assassination attempt two weeks ago. Seven soldiers were injured after a pair of what the government said were explosives-laden drones blew up around a military parade, after which Maduro claimed they were sent to kill him. 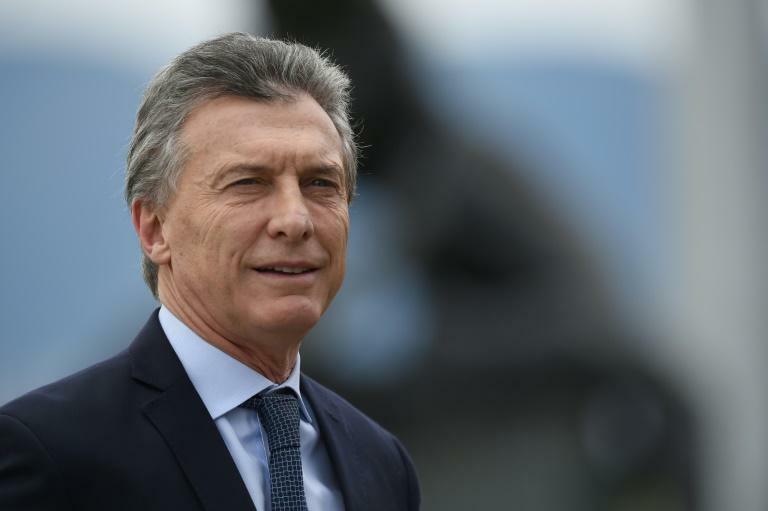 "I don't have exact information but in light of how he's behaved since and given those (opposition leaders) he's flattened and trampled over, it shows that there's not much chance it was genuine," added Macri. Turning to matters closer to home and the ongoing "notebook" corruption scandal, Macri said he expects the "whole truth to come to light." But he denied that the scandal, which has embroiled former president and opposition leader Cristina Kirchner, was helping his bid for reelection next year. Kirchner has been questioned by a judge over allegations her government received millions of dollars in kickbacks from prominent business leaders in order to win large public sector works contracts. A government driver who allegedly served as the bagman in the scheme kept notebooks with a detailed account of the payments. Two weeks ago, Kirchner's former vice-president Amado Boudou was sentenced to nearly six years in prison for "passive bribery" and conduct "incompatible" with his duties as a public servant. Macri has not been entirely untouched by the scandal, though. His cousin Angelo Calcaterra was one of eight business leaders to strike plea bargains over bribes paid during three terms of Kirchner government. The president admitted he spoke with Calcaterra before the latter struck a plea deal. "It's always better to go with the truth," said Macri during the CNN interview aired on Sunday night.